The Islamic cleric who has been calling for the death of Pakistani Christian Asia Bibi faces a potential life sentence in prison, Pakistan’s Federal Minister for Information and Broadcasting Fawad Chaudry announced Saturday. Khadim Hussain Rizvi, a leader of the extremist political party Tehreek-e-Labbaik Pakistan (TLP), was charged with sedition and terrorism after spearheading the protests that have roiled Pakistan since Bibi’s recent acquittal on a 2010 blasphemy charge. “Today, we have decided to take legal action against the TLP leadership,” Chaudry said at a press conference, according to Reuters. “All those who were directly involved in destroying property, who misbehaved with women, who set fire to buses, are being charged under laws of terrorism at different police stations,” he continued. A Roman Catholic, Bibi was charged eight years ago with blasphemy against Mohammed for words she allegedly said in an argument over a cup of water with Muslim women from her village. After being acquitted by the Supreme Court of Pakistan in October, Bibi and her family were forced into hiding because of violent, disruptive protests that erupted across the country. The unrest brought many parts of Pakistan “to a standstill,” the New York Times reported. 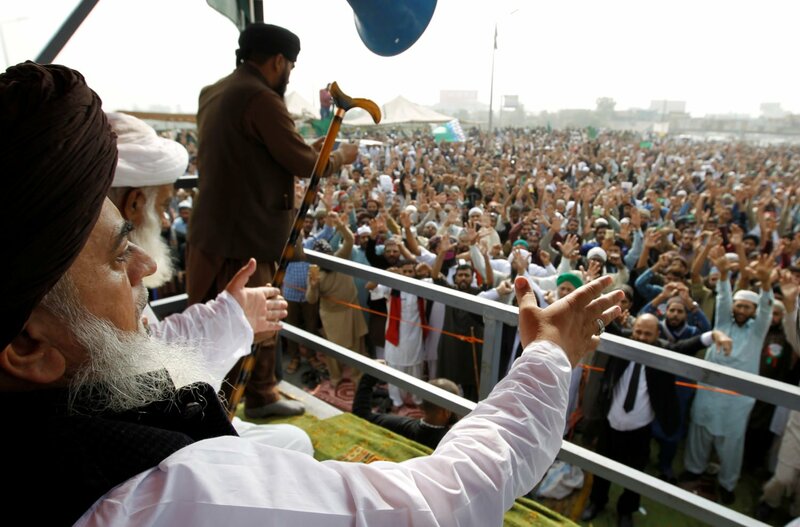 Among the leaders of the unrest were Rizvi and other leaders of TLP. TLP is a political party that formed in support of Mumtaz Qadri, the bodyguard who was executed in 2011 for assassinating Punjabi Governor Salman Taseer, whom he was supposed to be protecting. 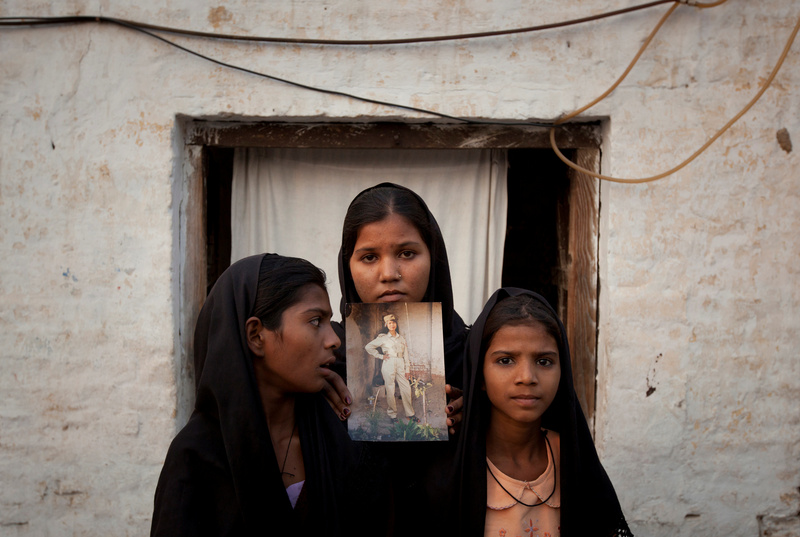 Taseer had defended Bibi and publicly called for the reform of Pakistan’s harsh blasphemy law. “He is a hero,” Rizvi said of Qadri in 2017. 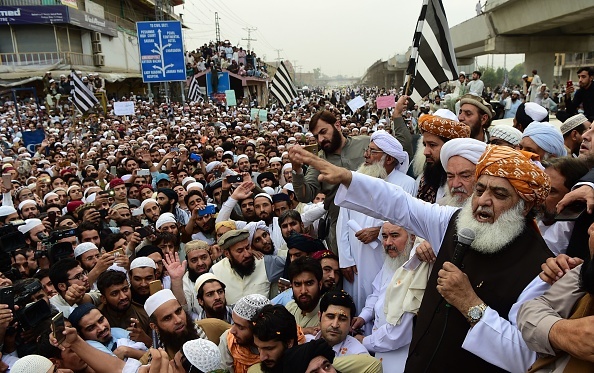 Since then, maintenance of Pakistan’s blasphemy law has been at the forefront of TLP’s agenda, which continues to gain political momentum in the country.